We met 2 years ago and frequently saw each other at fairs, pop-ups and networking events around Singapore – it is a small place for expats and even smaller for creatives and entrepreneurs. I’d always wanted to buy one of her beautiful prints so when she announced her departure I immediately placed an order for her Skyline print. A few days later she emailed to ask if I would photograph her family at home in their beautiful black and white house. 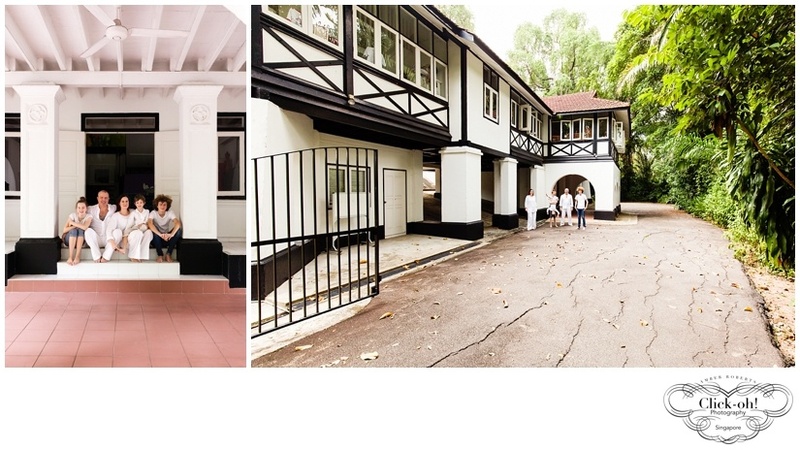 These houses are part of Singapore’s colonial heritage, often raised up on columns with galleried verandahs, to make living in the tropics more comfortable. 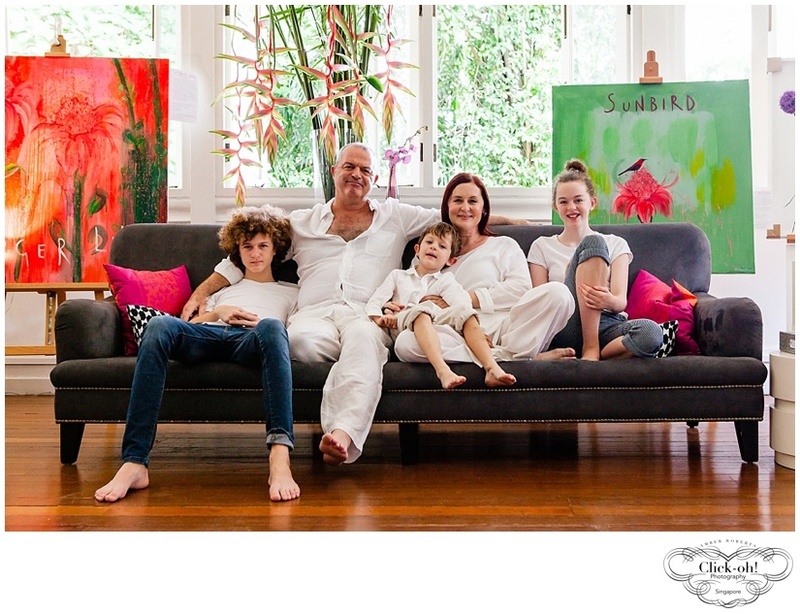 Having lived there for 8 years the historical house was an integral part of the Haxby family’s life in Singapore. 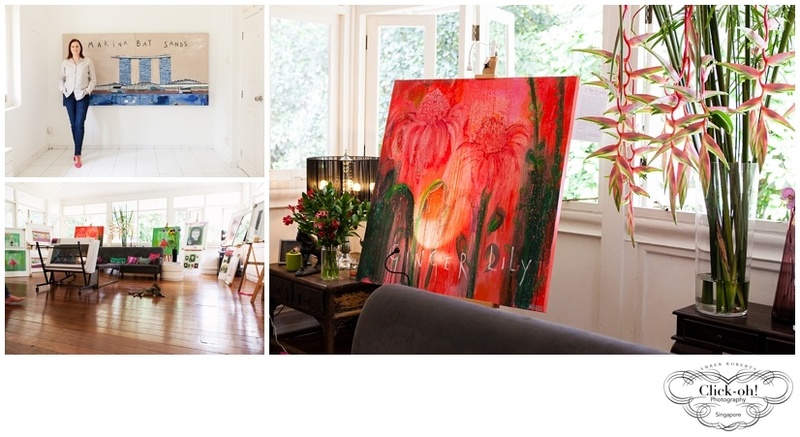 It also served as Clare’s studio for her work and the showroom for her paintings. The family photo shoot was set for a few days before the packers arrived. 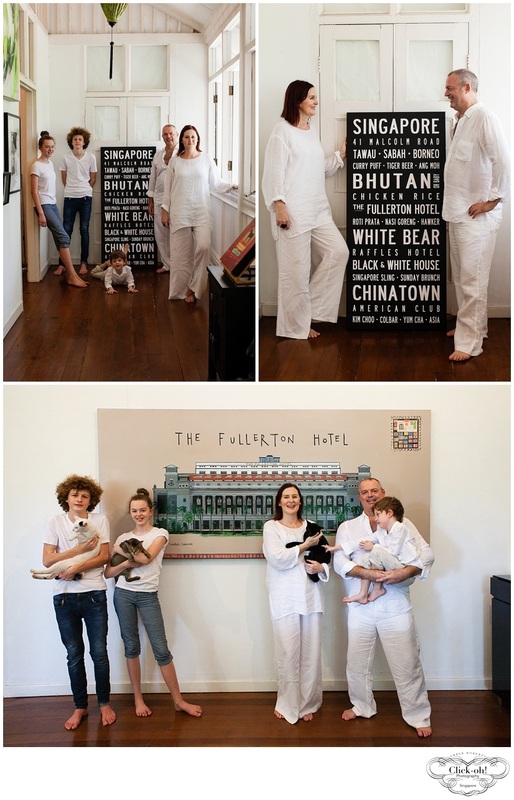 When I showed up at the house the whole family was appropriately dressed in white. Clare showed me the different parts of the house that she wanted photographed; her studio was also going to be captured as well as some of her artwork. We took the family photos, then Clare’s willing husband and children made a fantastic support crew to help set up her paintings. I’ve thought a lot about how I would have felt being in Clare’s shoes: leaving a place when you’re known as one of the best in your field, the go-to person for a product or service. Maybe it was actually perfect timing to leave at the top and start somewhere new, taking the lessons one has learnt to applying them to a new situation. I read somewhere that it’s not up to us to decide whether something happens or not, but what we are going to do with the time that we have. Clare is based in England where she now has her studio, and I have no doubt that she will once again stand out from the crowd. If you’re looking for some stunning artwork of Singapore’s famous landmarks, wander over to Clare’s website where you can buy her paintings and prints. You’ll also see Clare’s painting of the black and white house that she used to call home. Luckily for those of us still in Singapore Clare Haxby Fine Arts and Prints continues to operate here, maintaining a showroom in Tanglin Rise. Her local staff will be running an open day for her art this October 3rd and she will also be making twice-yearly visits back to Singapore – so plenty of opportunity to catch up with her again! 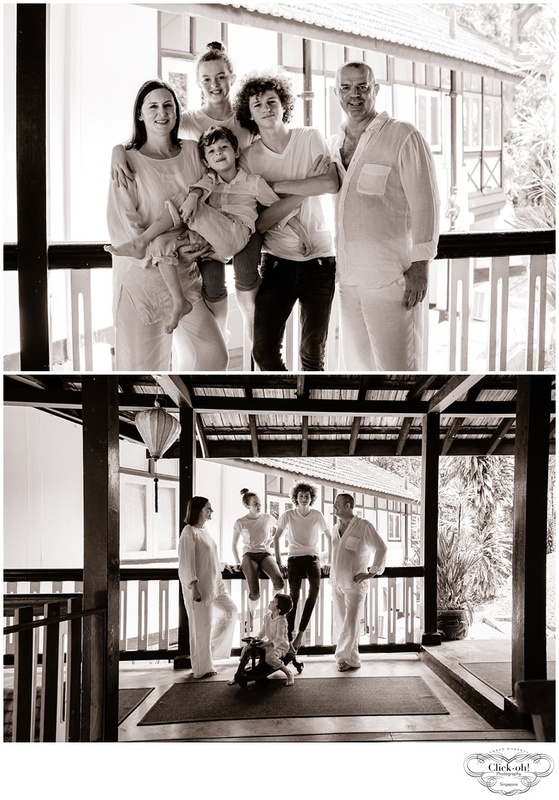 This entry was posted in Amber's Blog and tagged artist, black and white house, colonial heritage, Family Photo Shoot, paintings, singapore by amber-roberts. Bookmark the permalink.